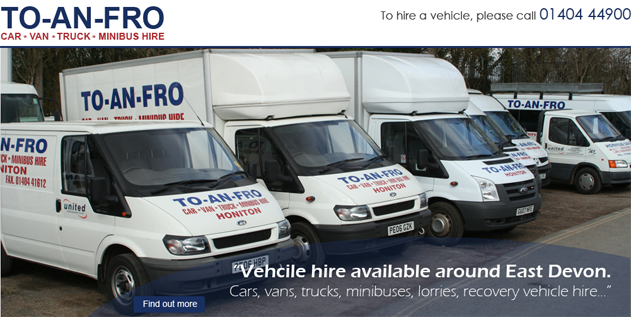 Here at To An Fro we offer a huge range of vehicles for many occasions that suit all types of budgets, customers can select anything from our large range of vans, lorries, minibuses and more for that large party outing, a special occasion or just getting something from point A to point B. We have 15 or 17 seats (including driver) minibuses, all of which are fitted with seatbelts. In addition to our minibuses we also have a number of people carriers available for hire. 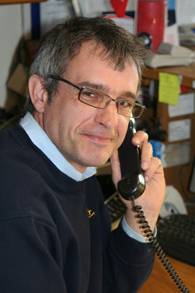 Contact us for a quote or more information on the range of vehicles we have available fro hire in the East Devon area. Vans - Small Vans, Short, Long and Jumbo wheelbase panel vans, Luton Vans, Tipper and Flatbed Trucks. 7.5 Ton Lorries and Beavertail Lorries. 15 and 17 Seater Minibuses.